Ok, this is probably not what you were expecting. Upon realizing that we had on our hands one of our fairly regular weekends with the kids being loved up by grandparents, we knew we had to set some “rules” for the weekly portrait that would allow us to actually succeed. Rule #1: it cannot be a score. We are AWESOME at score shots, even of the four of us, but this challenge is about an actual portrait, with a camera not being held by a subject who appears in the photo. Rule #3: it must be taken with or by the majority. Both photographers were at the beach, so we are the majority. There is a weekend coming up where Ben has the kids and I’m gone, he’ll be in charge of setting up a portrait of him and the kids (and dogs?). 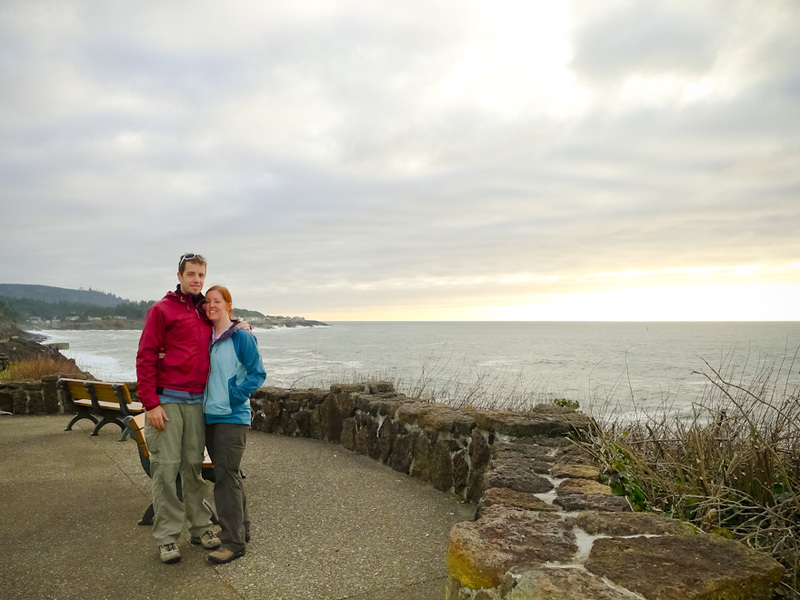 So here you go: a lovely portrait of just the grown-ups in the family at Depoe Bay this weekend.